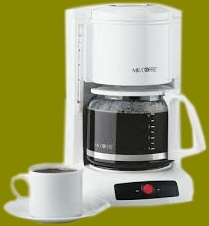 FIRST- the coffee is always on - inviting you to relax and chat for awhile. During this time, we can develop some ideas of your preferences and vision, so I can help introduce you to the items which are a good match. Then, we can get down to cases. And speaking of CASES, here are some of mine, well-populated with brass specimens. What I don't have displayed in cases, I have stored on shelves, as you see pictured at left. Inside my house and in various cubbies, here and there, are boxes of new brass models -or, should I say, models purchased when they were new. Today, a fair number of these are out of production and may never be made again. I think of my collection of models as a kind of genome, which has traced the development of brass model trains over a period of time. I can't say, and I don't say, that I have a sample of every model that was ever produced. But I CAN and DO say that my collection does faithfully reflect the development of brass models over a vast span of time. Please know that every model has, at least, been visually inspected to assure there is no damage, and that there are no defects in manufacture. Furthermore, each one will be tested on my vast layout to assure that it is operational, before we consummate a sale. As you will discern, there is too much inventory for me to produce an individual listing and description with photos of each item. But experienced brass collectors will know from a mere glance at the label what may be expected inside the box, and a visual inspection will confirm the same. Those who are not so well schooled should expect me to provide the documentation which supports the pedigree of the model and current market pricing. All that said, I want you to know that the WAY I do business is as important to me as the models and any transactions. I don't do "Internet" sales. Everything is up close and personal, and "by appointment." This assures us both of a mutually convenient date and sufficient time. As you can see at left, there are many, many items to inspect. I don't have an exact count, but the number is somewhere around 700! I accept most kinds of payment, including credit cards. And yes, I also do trades and am an active buyer. I will be delighted to pack and ship your purchases if you don't care to take them with you. Basically, you should prepare yourself not just to consider a purchase, but also to have a good time. I hope you will take the time to tour my Piermont Division layout, a portion of which is shown below. As you can see above, I fearlessly RUN my brass! Please know that in addition to buying and selling brass, I also do repairs, installations and custom work including custom designed and constructed structures. The photo above shows the quality you may expect. Finally, for every purchase of $100 or more, you will receive your choice of My Life with Model Trains (written by me) or the Brass Train Book, by world class brass expert Dan Glasure. My Life with Model Trains was written by me, and includes complete explanations of modeling techniques and methods, written in every day language so you can put them to work immediately. These explanations are interspersed among stories of how I started in the hobby, and the development (still ongoing) of the Piermont Division layout, which now spreads over 3,000 square feet. The book is 11 X 12 inches, hardcover, 300 pages long, and includes 450 full-color photographs with color jacket. You can view some pages at this My Life with Model Trains link. Dan's Brass Train Book is a similar hard cover volume of over 300 pages including 700+ outstanding photographs, the history of brass trains and a commentary by top importers. 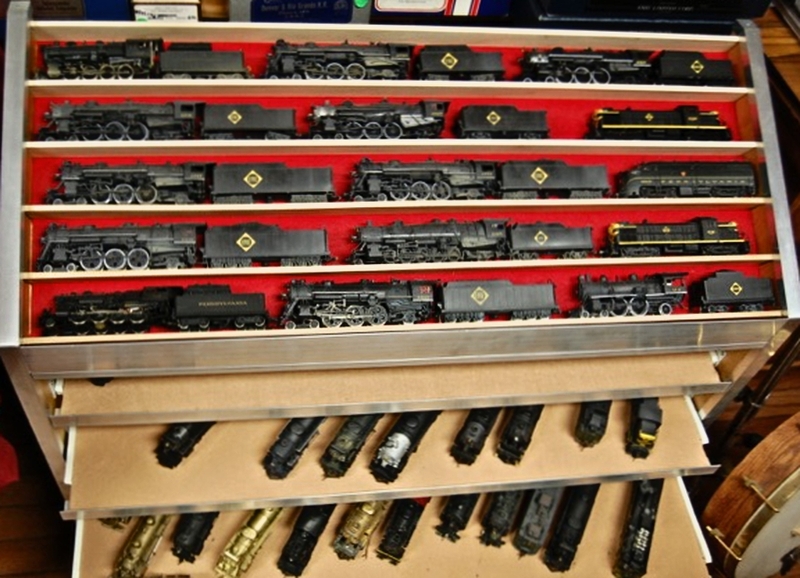 Read this for a thorough grounding in the brass trains hobby. Printed in an 11 X 9 inch format, it includes a handy thumb index by scale and type of equipment. It is a unique reference, in the hobby. See some content at this Brass Train Book Link. We'll set a date and time of your arrival and briefly discuss your special interests. Meanwhile, consider folding in some other points of interest while you are in the area. Tommy Gilbert’s shop is in Gettysburg (70 miles and has some brass). Main Line Hobbies is in Blue Ridge Summit, and the Moose Caboose is in Sykesville. All of those are within an easy drive. Of course, the now rather well-known and huge M.B. Klein aka modeltrainstuff is in Cockeysville, another nearby locality. Although I’m not a fan of on-line sales, there is always an exception. Dan’s Trains aka brasstrains.com in Ocala, Florida is that exception. If I don’t have what you are looking for, I highly recommend Dan Glasure as I found him to be extremely knowledgeable, professional, and quite ethical….and most likely would have what you are looking for and then you can feel safe in ordering on-line. If you visit while the Great Scale Model Train Show is in operation, that is a venue you won't want to pass up. Thanks for reading - I look forward to meeting you!